After graduating from Life Chiropractic College in 1999, Dr. Jeff Wells interned at a clinic in Louisville, Kentucky before he opened Wells Family Chiropractic. As he and his wife Christine are both from Ohio, they chose to come back to their home state where he started the practice. We provide care for all ages and have a particular emphasis on whole family wellness. 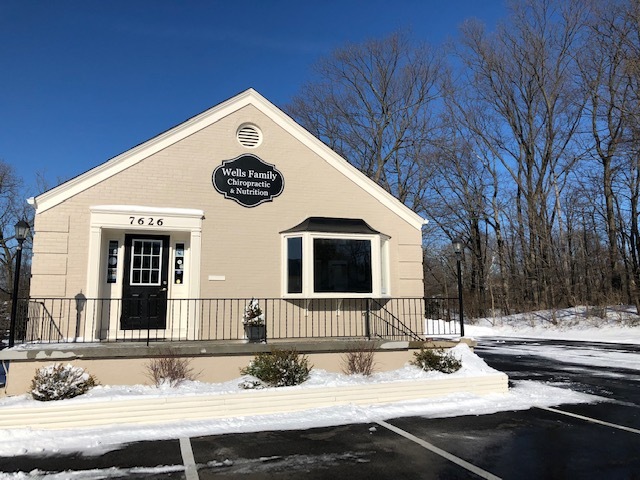 At Wells Family Chiropractic, we want to help people understand what chiropractic care is and how it can help them regain and maintain their health. Our approach is based more on prevention versus treatment. Yes, we will get you the pain relief you need, and will stress keeping yourself well to try and prevent all health crises. Most patients come in for relief and stay for wellness. I hope that my patients start thinking differently about what health care is! Certifications: Dr. Wells is a Certified Chiropractic Sports Physician (CCSP®) and is concussion certified. He works with many athletes and determines when they can return to play following a concussion. Laser therapy as well as specific brain nutrients are available to help with concussions. Custom Orthotics: As your feet are your body’s foundation, they need to be functioning optimally. We use Sole Supports to create custom orthotics. Endocardiographs: We’ll listen to the valves of the heart with a special heart sound recorder and we can base some of your nutritional needs on how the heart is functioning. Help for Breech Presentations: Dr. Wells has had great success in helping breech babies turn. Infertility: Dr. Wells has helped many women through chiropractic and nutrition who have had difficulty getting pregnant. Functional Movement Screening: The Functional Movement Screen (FMS) is a tool that can be used to identify individuals who are more likely to become injured. Subluxation Station: This state-of-the-art screening and assessment system incorporates a thermal scan, surface EMG and heart rate variability testing. Nutrition: We offer specific nutrition techniques such as Nutrition Response Testing. If you’re ready to get on the path toward optimal health and wellness, we want to help. Contact our chiropractic care center today to schedule an appointment!